purple_hayes wrote: Source of the post If this is the case, how did a giant who died south of the wall get north of the wall to walk with white walkers?? Must have been his doppelganger. No way it was Wun Wun for the reasons you stated. Found an article that may help explain Wun Wun's presence in the Wight army... TLDR explanation is that Bran's vision hasn't happened yet. I read a different article similar to this that also said that Bran's vision was of the future once they are already south of the wall and resurrecting the dead and that that is definitely WunWun. My question is why didn't Jon burn WunWun's body? The only thing I can think of is that they didn't anticipate the Wights ever making it that far south and therefore deemed it unnecessary to burn the dead after the battle. Ed is a huge fan and was probably so pumped to be in that episode and now it's probably like his biggest life's regret. He's the new Rebecca Black. 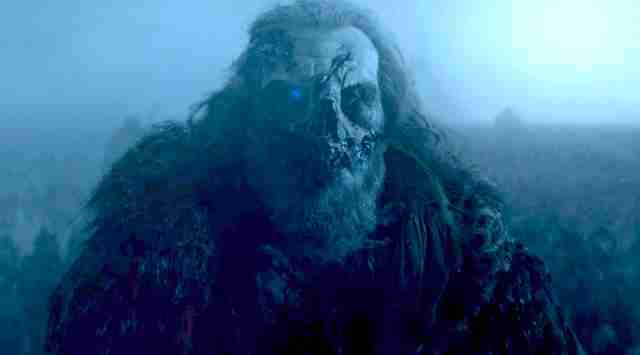 That's interesting that the Wight Army is going to make it beyond the wall or at least that they are foreshadowing to. I wonder if the magic that is in the wall to keep them out is gone now that those who put the spell on it are gone. I do wonder why they did not burn the bodies of those lost in the Battle of the Bastards. Especially after what they have seen in battles in the past with the White King. Kath525 wrote: Source of the post Ed is a huge fan and was probably so pumped to be in that episode and now it's probably like his biggest life's regret. He's the new Rebecca Black. Honestly I thought he did a great job. Just too famous and recognizable, in my opinion. Obviously if i didn't know who he was i wouldn't care at all. Kath, I think you're right why they didn't burn WubWun. They probably buried him and gave him a proper funeral. They didn't even consider he could be used later against them like that. I forgot to mention how much I still love that Tormund is obsessed with Brienne. wags83 wrote: I forgot to mention how much I still love that Tormund is obsessed with Brienne. Podcast said the giant was for sure not WunWun and it was the wrong eye covered on the ice giant. They also said Jon has been shown multiple times burning the dead so why would WunWun be different? Tyler wrote: Podcast said the giant was for sure not WunWun and it was the wrong eye covered on the ice giant. They also said Jon has been shown multiple times burning the dead so why would WunWun be different? How do you explain his eye? !